Bohemian Highway California 2007 $5.99 NOTE: THIS WAS MY FAVORITE OF THE PG'S I TRIED...AND I LOVE THE BACK LABEL...KEEP YOUR KARMA CLEAN! :) Winemaker Intro: Zesty and crisp with refreshing aromas and flavors of melon, tropical fruit and cool lemon/lime to finish. Review: Tasted of pineapple ending on a citrus not. Bold...permeates my senses. Pleasant aftertaste...perfect balance of dry & "just" sweet. Good stand alone wine, though I'd pair it as well. Couldn't tell you how it tasted the second day, because it didn't last that long. buy again: DUH! You are so fun! We used to have all our favorite wine bottles up above our cabinets in Dallas house, and people would look up and say "did you drink all that", and that was not even a fourth of our tasting habits! Now hubby has a PDA file and a photo spread sheet on the computers! One day we will *clink* a glass together, and shuck some corn! I love Pinot Grigios and would love to join you. I know little about wine - except what I like. And am often in a rut. I appreciate the reviews! And our wine glass collection of not- expensive glasses - is shrinking. Sadie broke two wagging her tail by the coffee table and Pippin-kitten has already broken two! Do away with stems! This was a really fun and informative post. So, line up the jelly jars, have a good day and a great weekend. This sounds like so much fun! I love wine. I cook with it, drink it, worship it. Wine is food of the soul. I'll scuttle over there and check out the club. A fun review to read! We enjoy wine frequently, mostly red wine, although we did find a white one recently that we liked (savignon fume blanc). My husband is the wine expert in the family, I keep trying to convince him to do a guest blog post. Great post! 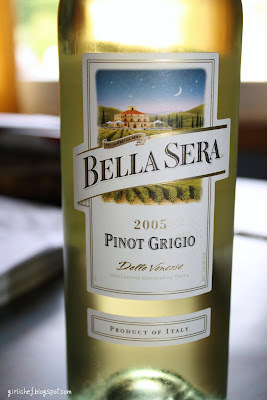 I love a good pinot grigio and you can given me some good ones to look for. I love your jelly jars too! Noting beats a glass of wine. I prefer chilled whites, my DH prefers red. Regardless, we enjoy a glass or two many times a week. cute post! Thanks for the link! Love the names of some of the wines-3 Blind Moose was the best!! BTW,the first port wine I tasted back in Goa(India) was a bottle called Vinicola!! this sounds like so much fun. I think im gonna join in as well. Both my husband and I love wines eventhough we are still amateurs and trying to find out what we like and dont!! I like to cook with the Pinot when a recipe calls for white wine. I drink about two glasses of Merlot or Cabernet every night while I'm cooking. Oh wine, how I love thee. Although I'm slightly allergic due to the histamines in wine especially red wines, but that hasn't stopped me from take a small glass or two every now and again. LOL. my sis is the big wine snob of the family and I don't drink it as much anymore as before and I have kind of forgotten what each wine is noted for being like - thanks for making me rethink this whole "wine" thing again!!! First of all, I am so jealous of the reasonable pricing on wine in the States, Ontario has a government controlled monopoly on booze and we pay at least 3x more. Love that people are doing wine posts.. maybe I should anyway.. just for fun! ps, blogger let me in - yay! I don't drink wine but I enjoy reading about it, especially your descriptions! Skunky wine, tee-hee! I love having a glass of wine after dinner but I've never had Pinot Grigio. I'll have to try that. Thanks! I'm actually not a big fan of wine...I remember I had the hardest time getting them right when I was working at Olive Garden! my dad, however, cannot live without at least 2 glasses of wine a day. that's the highlight of his day! Ooooh, fun blog! I'm not a wine drinker myself, but if I were to be, this is the first place I'd start! I must admit, I know absolutely nothing about wine. But I've always wanted to learn! This is a great post on Wine. Love it:)I enjoy wine red rose ect. I love a good Pinot Grigio. (which reminds me of a comment in Bride Wars:)) Anyway.. I love making white sauces with it too. Thanks for the great run down of your recent try's! Girlichef, you make me SMILE! I appreciate your reviews of the wines. I like Pinot Grigio too. I love this post, I've marked several wines to try. I'll have to go check out the virtual wine tasting, what a wonderful idea! Those were some great reviews. I got stuck with the first PG I tried, I liked it too much to move further. And, as my friend used to say, "People, drink wine, not water, water will make you rusty"
Excellent reviews! Thanks for joining our wine club. Sorry it took me so long to mosey on over here and check out your blog...good stuff! That is quite a bit of wine to drink in one month...maybe I should join : ) I'm glad to see that you don't discriminate. You just love them all!! I'm pretty much the same way. Yay for being a wino! I saw some wines on there that I've never tried, so I'm definitely going to have to check them out. 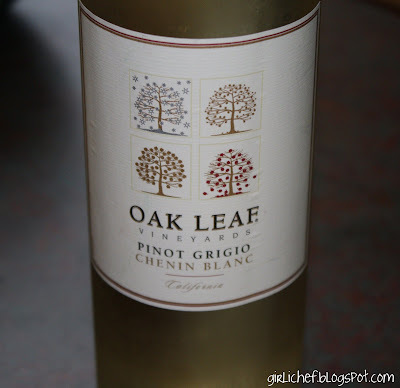 I'm usually more of a chardonnay girl, but it wouldn't be hard to talk me into having a pinot grigio! Oh my gosh - what a fun blog you have! 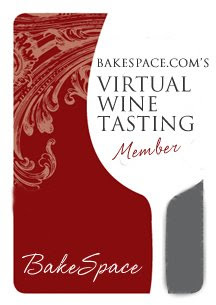 Very interesting...a wine tasting blog club - we'll have to check this out! 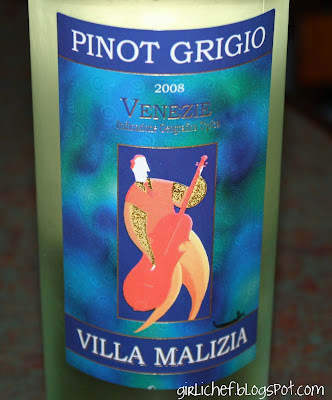 I can't say that pinot grigio is my favorite - but I will have to pick out a couple of your picks to try! Cool music by the way!! I'm so glad you've enjoyed our wine club!!! I'm so happy you decided to join. :) I just love when we get a new face in there....which brings a new taste and a new twist on things :). I think we start voting tomorrow for this months winner, who in turn gets to choose the wine for June! Wooo hooo!!! Pinot Grigio - ultimate summer wine! I love it especially with tapas style food. I'm so glad you joined the wine club and are diggin' it! How fun! Pinot Grigio is great because it really goes with just about anything!